What is the PCA and why use one of their approved members? 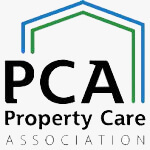 The Property Care Association (PCA) represent property specialists who can be trusted to resolve problems affecting your building. The PCA has been around for nearly 90 years and was previously known as the British Wood Preserving and Damp Proofing Association. To be recognised as a PCA member, “it is not as easy as just filling in a form and paying a subscription as with other industries, all membership applications are taken very seriously and members must attend industry events and training, whilst being regularly vetted and inspected”. We all know how difficult it is to select the right tradesperson when you may not have any experience with the issues you are trying to resolve – let alone knowledge of the company you are asking to put the problem right. The PCA can therefore be considered a trusted body to take the unknown out of using a new company, essentially all the hard work in vetting a company has been done for you. The PCA even state “we get a much closer look at their business than a customer ever could”. To ensure members have the right skills, the PCA provide robust professional training to members surveyors and technicians. 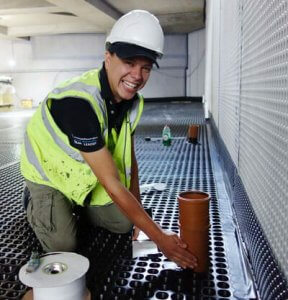 Training is backed with qualifications in structural waterproofing, damp and timber and invasive weed control, which are thoroughly tested by written, visual identification and oral examinations to ensure the expected standards are met. You can therefore have confidence that Advanced Preservations have the right skills and qualifications for the job. Confidence that the company has been thoroughly checked by experts. Confidence that the work will be completed to a high standard. Confidence that we are part of an organisation which can offer you additional support and advice should you require it. And finally, confidence that we can offer you additional insurances for even more peace of mind. Ultimately, you are in safe hands! The company has to have been trading for a minimum 2 years with 2 years trading accounts which have been checked by a company accountant. We are required to have or to gain a comprehensive industry recognised qualification. We are regularly audited to ensure the exceptionally high standards of the PCA are maintained. We are required to adhere to a formal Code of Conduct, a strict Code of Ethics and minimum Performance Standards. Insurance backed guarantees, some of which are only available through a PCA member. License under the Government’s TrustMark Scheme, as the PCA are a TrustMark Scheme Operator. The PCA deposit protection scheme for damp proofing, timber preservation, structural waterproofing and structural repair works – The PCA Promise. Should you wish to talk through any of the above, please feel free to contact us via email, on 01252 333 310 or pop in to our newly converted head office. "I'd like to commend Tony for the job he does - I look forward to Tony visiting to do the pump service as he is polite and does a very thorough job"